Emaar, the leading Dubai-based real estate developer, has announced its collaboration for the first time ever with Elie Saab Group, the renowned fashion and design house. 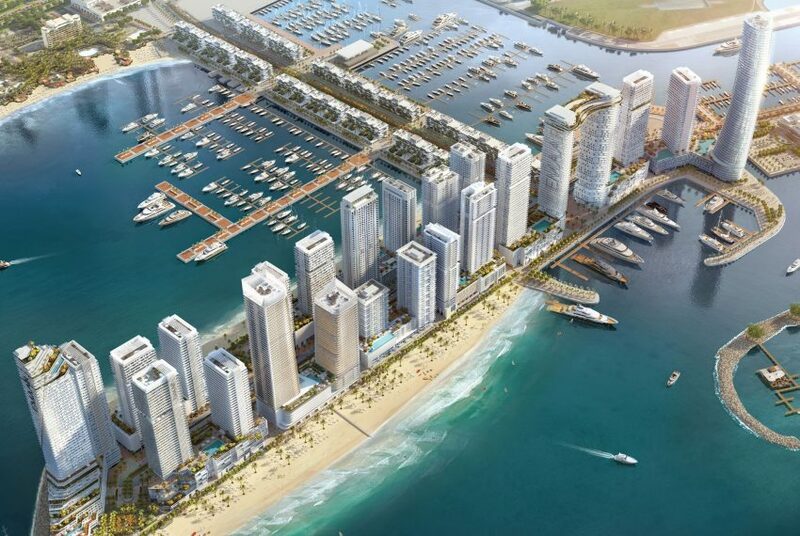 The contract will see Elle Saab designing the interiors for one of the residential towers in Emaar Beachfront, a closed residential community developed by Emaar in Dubai. The building will comprise variant residential units including one-, two-, and three-bedroom apartments as well as four-bedroom penthouses. In addition to that, the tower will feature multiple eloquent amenities that include an infinity swimming pool and fitness gym. The tower’s ground floor, with a design inspired by the Art Deco era, will include cafes, galleries, and boutique fashion stores. The owners of the residential units will be offered private consultation from Ellie Saab team on selecting the furniture for their units. In his comment on the new partnership, Mohamed Alabbar, chairman of Emaar expressed the development company’s pride to cooperate with a world-class name like Elie Saab which will help Emaar provide its customers with a unique value and lifestyle. On the other hand, Elie Saab, founder and chairman of Elie Saab Group commented that the group is delighted to partner with Emaar for the first time, adding that Elie Saab has grown over the years as one of the most distinguished fashion brands in the world through providing unique value to its customers and partners.